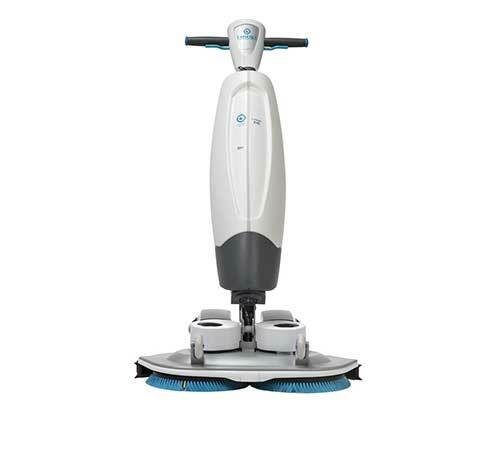 Buy the Best Tennant/Nobles i-mop XXL Floor Scrubber for Sale Online! If you’re frustrated by a tight nook or cranny, try the Tennant/Nobles i-mop XXL floor scrubber from Southeastern Equipment. The innovative, ergonomic design provides the maneuverability of a mop with the mechanized cleaning efficiency of a walk-behind scrubber. In order to minimize slips from excess water seepage, this floor machine has been optimized to limit fluid use. The secret lies in i-mop XXL’s proprietary Fluid Management System design that increases productivity when compared to traditional mopping. Clean your facilities and keep your indoor space pristine for visitors. A sanitary environment will make customers’ experience more enjoyable and keep them coming back for more. Each of our machines’ dual rotating brushes are extra wide to eliminate build up accumulating in corners. 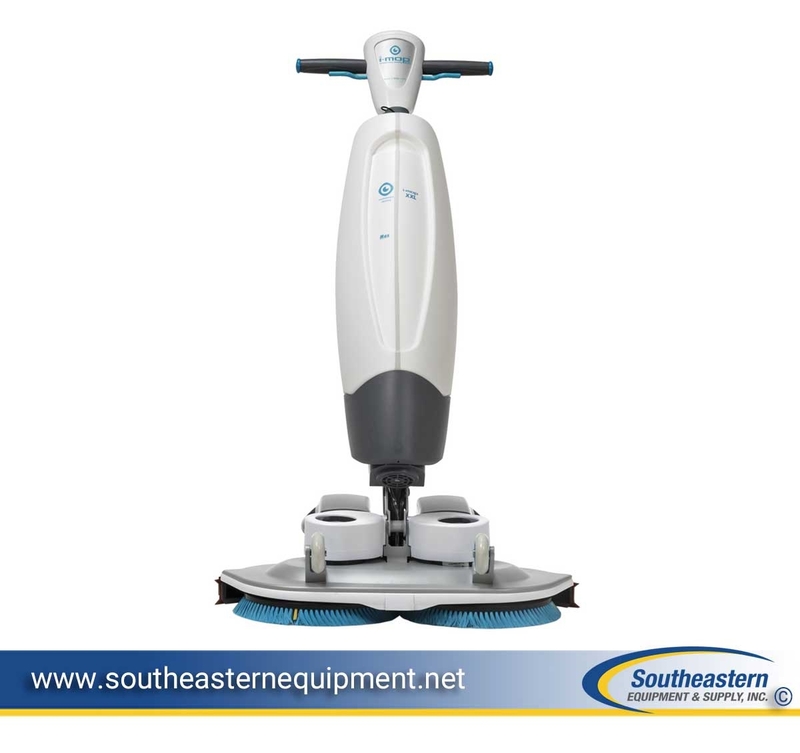 When you browse Southeastern Equipment’s inventory, you will find this Tennant/Nobles i-mop XXL floor scrubber for sale at a competitive price. This industrial scrubber can be used for a wide-variety of commercial applications. If you need help finding the right machine for your business, call 800-440-6723 to talk with our knowledgeable sales staff. Shop now and get free shipping $100+! Boxed dimensions (H x W x D) 50.8" x 27.6" x 15"
Efficiency: Increase productivity rates versus manual mopping, in addition to reducing chemical and water usage with the i-mop XXL’s patented Fluid Management Systems. Ergonomics and personal safety: i-mop XXL’s unique ergonomic design helps reduce slip and fall hazards and foot traffic disruption vs. a traditional mop and bucket. Environmental responsibility: Utilizing i-mop XXL’s special Fluid Control technologies, the machine maximizes every ounce of water and chemical. Experience: Increased cleanliness creates a more inviting facility for occupants and visitors.